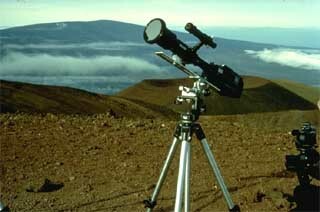 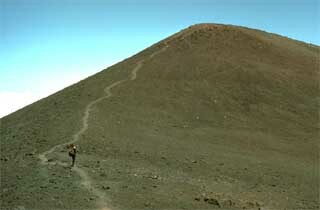 Mauna Kea is a dormant volcano that rises 13985' above sea level and is the largest island mountain in the world. 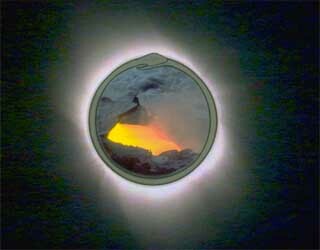 It is also the site of many major world observatories that had the rare opportunity to observe and study the total solar eclipse of 1991 which passed dirctly over them. 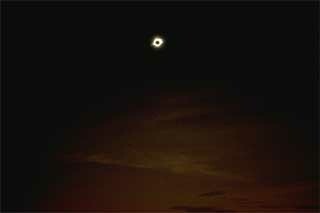 Solar prominences and sunspots were particularly active before the eclipse, so the corona was particularly large and one could easily see a bright pick prominence during totality. 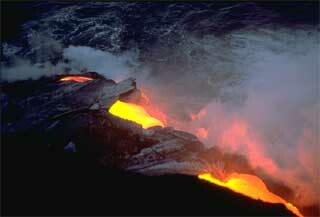 Simultaneous with the eclipse, a significant lava flow was pouring into the ocean from PuUOo, the active crater of Kilauea Volcano.